Beautiful building lot with expansive views over Peninsula Lake. 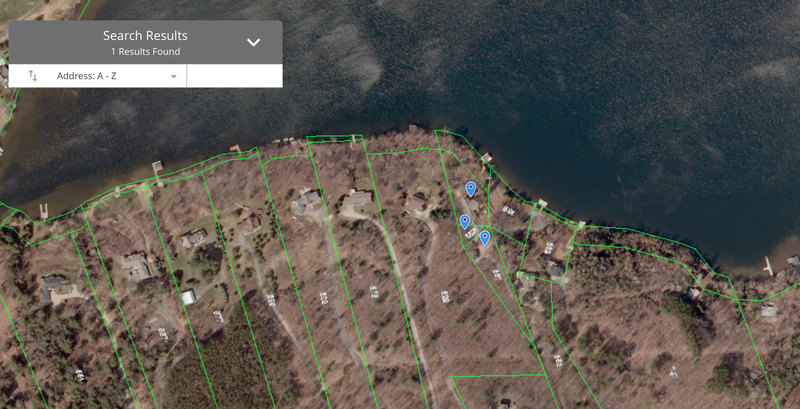 240 feet of water frontage and 1.37 acres of land ensure your privacy and building options. Easy year round access makes this property suitable for a cottage or permanent residence. Property is moderately sloped with easy access to waterfront, with shallow to deep sand bottom shoreline. Previously existing cottage has been torn down and materials disposed of. Garage, steel dock, boat port with lift, and waterfront storage building remain on property.